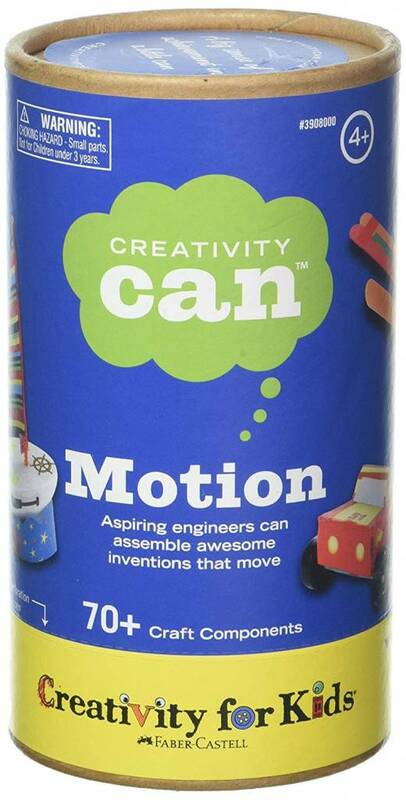 CREATE AWESOME INVENTIONS - Aspiring engineers can assemble awesome inventions that move with wheels, foam forms, a pullback mechanism, a propeller and more. COMPLETE CRAFT FUN - 70+ craft components! 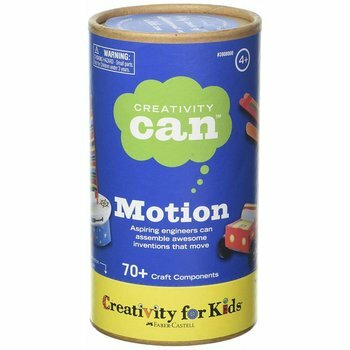 The Creativity Can Motion craft jar comes with plenty of craft materials to assemble awesome inventions that move. OPEN ENDED CRAFTING - Develop imagination, problem solving and critical thinking skills needed for success with crafts powered by imagination. The possibilities are endless! CREATIVITY CAN - Creativity Can make anything possible! Creativity Can promotes self-expression and encourages people of all ages to imagine and invent using a hands-on activity. 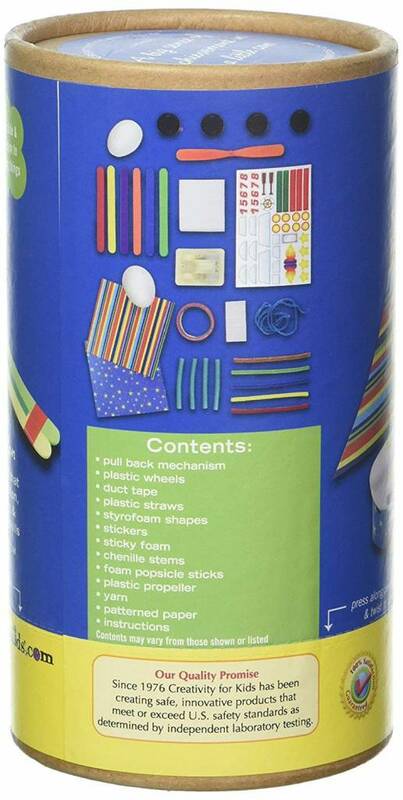 CREATIVITY BUILDS CREATIVE THINKERS - Since 1976, Creativity for Kids' open-ended products offer fun-filled opportunities for children to create, learn, pretend and explore.